Mr Blonde Two and I went for a short Bimble along Hameldown on Sunday. 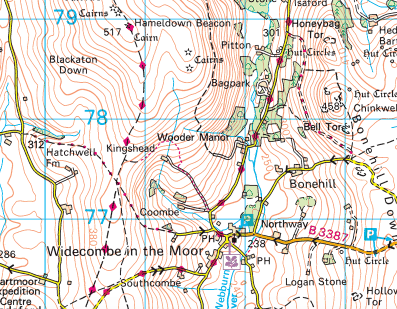 Thanks to Ordnance Survey for their online mapping. 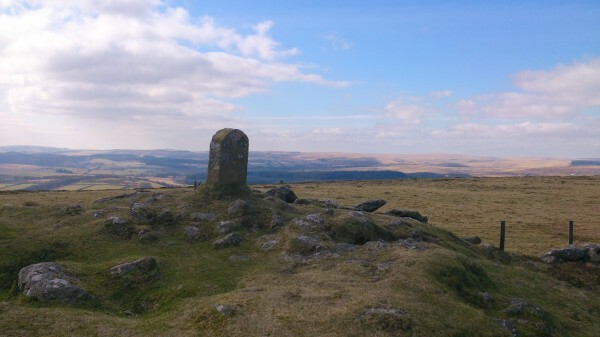 It was one of those inspiring winter-light days that Dartmoor does so well and I took lots of photos. 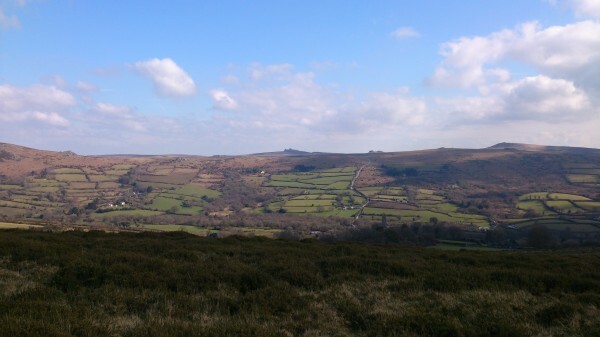 We wandered along at a slowish pace, watching the sun move across the opposite hillside and enjoying a bit of tor spotting (from Hameldown you can see the tame tors around Haytor Down to the East and wilder North Moor ones to the Westish). 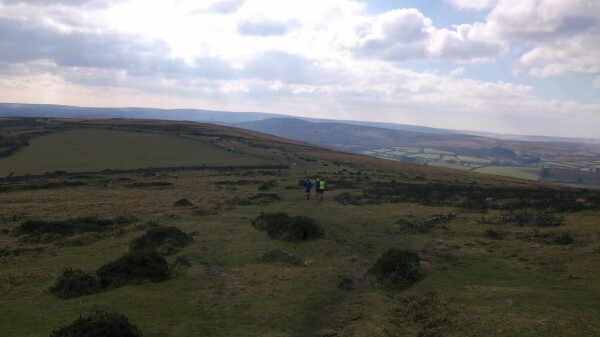 As well as admiring the scenery, we marvelled at the energy and agility of the many runners that thundered past us down the hill from Hameldown Beacon. The idea of running up onto Hameldown even once sends shivers down my spine, but these guys were running the ‘Hameldown Hammer’ a half marathon that climbed over 600 metres. If I had been wearing my bobble hat, I would have taken it off to them. ‘The Windmill’ – Uses a wide waving motion of the hands to a) keep balance, b) encourage slow walkers to move out of the way and c) ensure a flow of air to the armpits. Looks as though he/she is not going to make it down the hill, but always arrives safely. ‘The Coffee Time’ – Always runs in a pair and has enough additional lung capacity to carry on a chattering conversation without slowing down. Topics include; a) cake, b) fashion and c) the finish line. ‘The Shouter’ – Makes loud primeval noises every time he (they were all men) a) jumps over a rock, b) stumbles, c) remembers that he prefers cycling. The level of fitness on show was beyond impressive and all of the runners were friendly and considerate in their choice of route down the shared path. 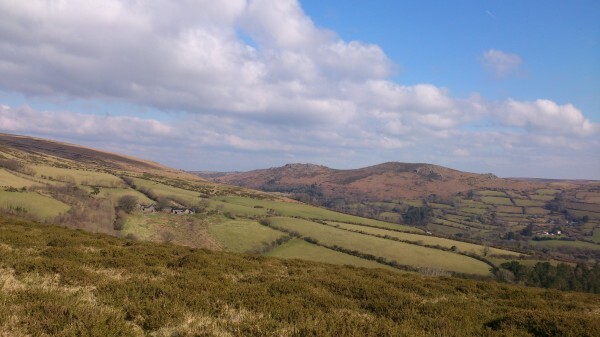 I say well done to everyone and I hope they had copious amounts of cake when they got back down to Widecombe!